The organizations listed below offer services for people who are faced with addictions issues, people who are in distress or crisis, people who are looking for counselling and/or treatment services, people who need a place to stay instead of hospital, people who are looking for social support, and so much more. Telephone support for adult residents of Niagara facing addiction and mental health concerns. You'll get immediate access to supportive, trained responders who provide information, support, and connections to local services for follow-up. Learn more here. Call the crisis line toll-free: 1-866-550-5205 (extension 1) for services 24 hours-a-day, 7 days-a-week. COAST services are available for individuals with mental health, substance use, and social issues such as homelessness. Mental health professionals work as a team in partnership with police officer who are specially trained to work with individuals with mental health and addictions issues who are in crisis. Ongoing telephone support and/or other referrals to appropriate follow-up services may be recommended. They can provide information about counselling services and support in your community; they provide basic education about mental illness; and, they listen, offer support, and provide strategies to help you meet your goals. Learn more about COAST here. Distress Centre Niagara provides support to individuals in distress or crisis, and they provide education to the Niagara community which assists people to take ownership of personal choices to manage their lives in a healthy manner. The Distress Centre is credible, safe, reliable, securely funded, and easily accessible. They provide high-quality education and training, emotional support, efficient and cost-effective suicide prevention techniques and communications skills. Distress Centre Niagara is committed to meeting the needs of the Niagara Region and surrounding communities. Learn more about Distress Centre Niagara here. CASON services include assessment, individualized treatment planning, referrals to appropriate resources, counselling, intensive three-week day treatment programs, supportive housing, and treatment after-care groups. Learn more about CASON here. The Safe Beds Program provides short-term residential crisis support for individuals who are 16 years old or older who are experiencing a mental health crisis. The Program offers crisis counselling and a safe, therapeutic environment for men and women to stay for a short-term, as an alternative to hospitalization. The Program staff work with individuals to resolve their crisis and to link them with available supports in the community. Referrals can be made by: therapists, counselors, physicians, psychiatrists, crisis workers, advocates, or any other professional with a working knowledge of the individual's current situation and relevant history. In some cases, where enough information is already known, a self-referral may be considered. To learn more, click here and/or watch the short video below. 905-378-4647 (Extension 46400); referrals are accepted Monday to Friday, 8:30 to 4:30 and an initial telephone contact occurs within 3 days of referral. This program provides regional mobile services, including assessment and treatment for individuals within their home or preferred location. Services are available for individuals with acute mental health and addictions issues who are 16 years old or older. Individuals may be referred by mental health and addictions partners within the community. WMS supports men and women (within separate care environments) while intoxicated, in withdrawal, or in crisis as a result of alcohol and/or drug use. The free, confidential service is provided within a supportive, comfortable environment that is open 24 hours-a-day, 7 days-a-week. Services include crisis intervention, withdrawal management, assessments, supportive counselling, self-help groups, consultation, treatment referrals, and discharge planning. No referral is required. Learn more about Niagara Health's Mental Health and Addictions Program here. Oak Centre is a community mental health program service people in the Niagara Region who have mental health problems. The Centre supports people to go back to work or school, provides assistance with legal/family/transporation/housing issues, and helps navigate through mental health services such as ODSP, OW, and CPP. Oak Centre also organizes and attends various social and educational events. The Oak Centre Clubhouse is an intentional community designed to foster a restorative environment where people can grow, build self-confidence, and experience themselves as citizens in creating a world for themselves and others. The people who go to the Clubhouse are diverse people who share similar experiences that come from receiving ongoing traditional psychiatric services. The healing process begins with the person finding a voice, naming his/her own story, and rediscovering personal and collective power. To achieve this, the Clubhouse is structed into two units: the Garden/Café Unit, and the Clerical Unit. Learn more about Oak Centre here. 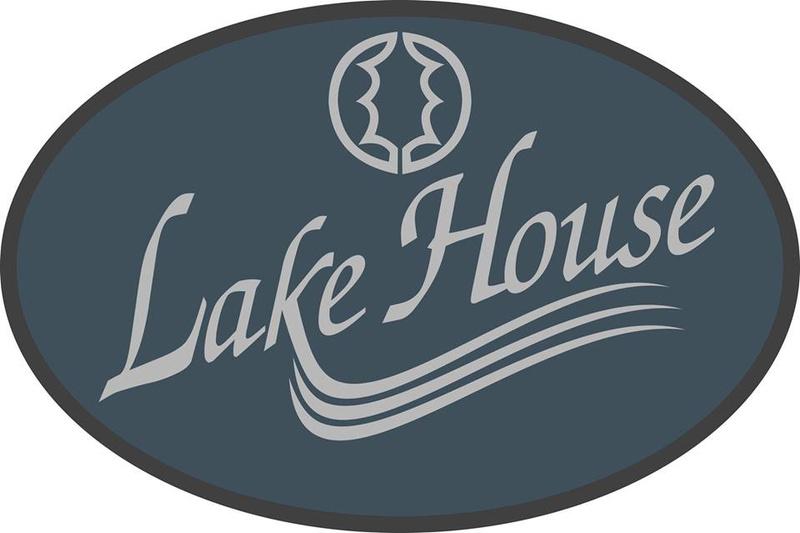 Lake House offers a psychosocial rehabilitation program for people with serious and ongoing mental health issues following the clubhouse approach. Lake House is committed to the belief that all people need to discover and reclaim the power to control their own destiny, share in all aspects of living in a naturally supportive community, and have the opportunity to participate with dignity in a regenerative environment that fosters hope. Pathstone is a mobile crisis intervention service providing immediate telephone counselling and, if necessary, on-site crisis intervention in the home, school, hospital, or other community location. Services are available 24 hours-a-day, 7 days-a-week for children and youth up to the age of 18, and their families. Counselors have access to psychiatric and psychologist consultation. Information will be collected, initially, over the telephone; on-site intervention will be organized if assessed as appropriate. Learn more about Pathstone here. ODPI members are mental health consumer/survivor initiatives and peer support organizations across Ontario. These organizations are run by and for people with lived experience of a mental health or addictions issue. Members provide a wide range of services and activities within their communities. No two are the same, but all approach their activities from the common understanding that people can and do recover with the proper supports in place, and that peer support is integral to successful recovery. Most member organizations work with their local mental health system tables to bring the consumer voice to service planning, evaluation, and coordination, and they provide direct (informal or formal) peer support and self-advocacy support to individuals. Learn more about OPDI here. The Toronto Central LHIN was designated by the Ministry of Health and Long-term Care to plan, integrate, and fund local health services. They fund over 170 health service providers, including a Community Care Centre, community health centres, community support services, hospitals, long-term care homes, and a variety of mental health and addictions services. The most important aspect of what they do involves working with community residents and health service providers to ensure that the health care plans for the Toronto Central LHIN make the best use of available resources and meets the needs of the communities it serves. Learn more about the Toronto Central LHIN here. Gateway is a community-based organization that is a registered charity funded by the Ontario Ministry of Health and Long-term Care. It's Mission: to enable individuals to achieve greater independence through innovative, consumer-centred housing and support services. Gateway offers a Residential Program, a Community Support Program, a Homelessness Initiative (Phase II) Program, and a Community Treatment Orders Program. Learn more about Gateway here. 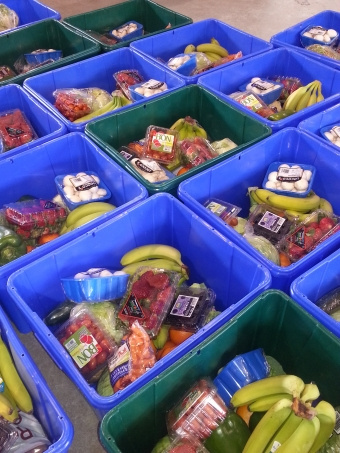 The Good Food Box Program is a volunteer, non-profit, produce-buying cooperative which serves to help people to include more fresh fruits and vegetables in their meals. The low cost of the Good Food Box is made possible because of group-buying. By pooling their money, Good Food Box participants can buy fool wholesale and get better prices. Volunteer labour for sorting and packing keeps the prices down. The selection of produce in the box changes according to the season, quality, and affordability at the time. The Good Food Box Program buys directly from farmers when possible. Learn more about the Good Food Box Program here.